Redesign of the billing list & overdue bill pages. Improved filtering -filter by clinician, insurer, appointment location & payment status. The biggest change was the release of new the Billing and Overdue pages. 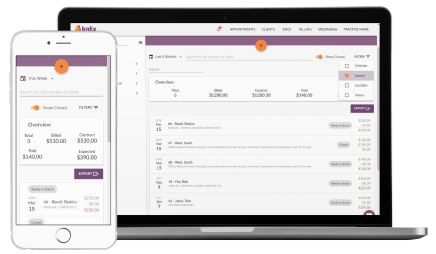 Along with a redesign, you are now able to filter your billing lists by clinician, insurance company, appointment location, and payment status. This release also contained a few fixes including the ability to print the appointment calendar and improvements to client searching, as well as the text editor in documents and templates. The next update will include the redesign of the actual bill creation and payment pages. We are aiming for a late April/early May release. 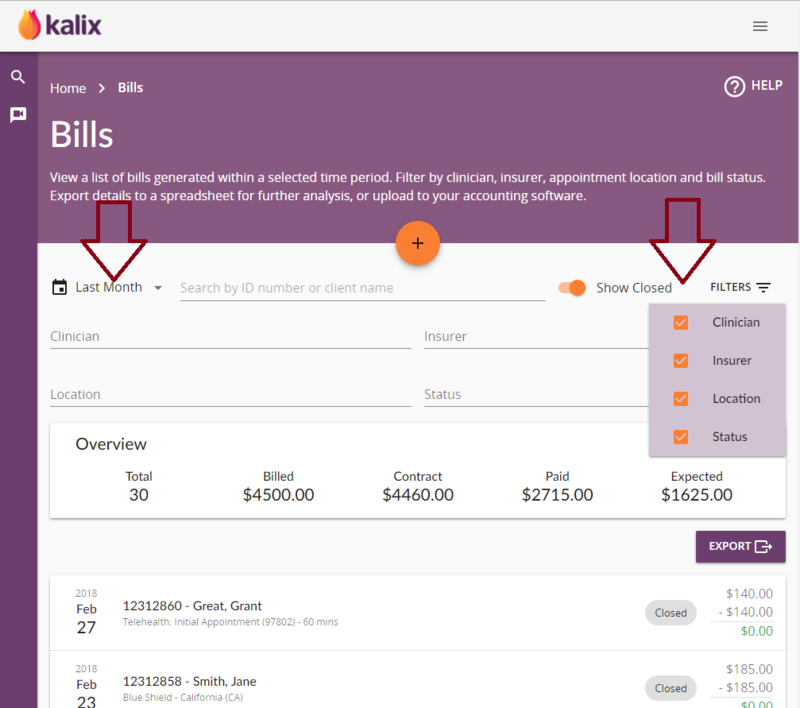 We are also working towards supporting the functionality to allow account directors to hide Kalix's billing functionality from specified staff members. This new feature will be most probably became available at the same time as online payments.